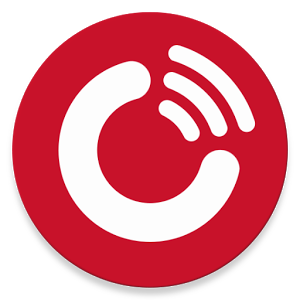 This channel is available for listening in the Pocket Casts web player, or via the iOS and Android Pocket Casts applications. Follow the above link to listen on Pocket Casts. What happens when two hosts get inside the same studio to chat about podcasting, South Africa and all the good things in-between? They realise that perspective, kindness and communication can change the world! Yup… the future of podcasting is that it is the perfect medium to talk, listen and make a positive difference! 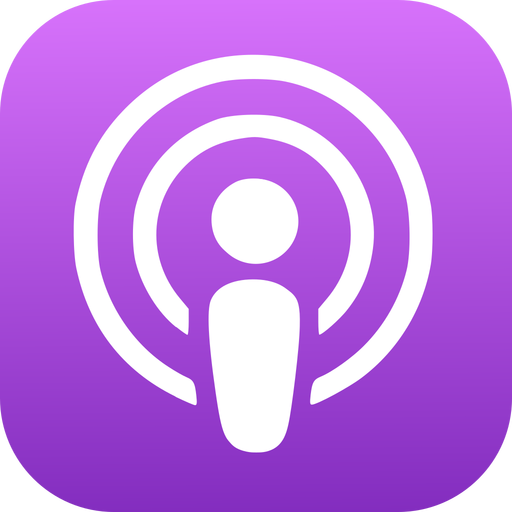 Listen as Brent Lindeque gets interviewed (and interviews) Kev Sanders, a fellow South African do-gooder and content creator! On 23 November 2018, an armed gang opened fire on Lyle Houldsworth, a construction manager paying employees after a project. Lyle was rushed to hospital where doctors treated him for heavy wounds in his throat. The prognosis was unknown, doctors hoped that he would survive but knew that he would face a long road to recovery, and may never speak again. It was one of the toughest interviews I have ever done... and only because I was holding back the tears, but both Lyle and his wife Bronwyn joined me in studio to talk about the tragic incident; about healing and miracles. Life is the best gift you can give. It’s why TELL (Transplant Education for Living Legacies) helps educate South Africans about organ and tissue donation. TELL was created with heart, for hearts (and other organs). One of the founders, Fawn Rogers, joins Brent Lindeque in studio to discuss her first hand experience, having received a life-saving lung transplant. This not only gave her a second chance at life, but it places her in the unique position to make a difference in the transplant community. Fawn’s experience allows her to identify various barriers to organ transplantation and it is TELL’s mission to solve as many of these obstacles as possible. One of the biggest problems we face in South Africa lies in the process of identifying and referring potential donors. South Africa already has a shortage of organ donors, and the lack of education around the situation is only making matters more difficult. It is also important to note that in South Africa, the donor’s family has the final say in whether or not organs are permitted to be donated. And that is why Brent got a tattoo, to TELL the world that he’s an Organ Donor (and kick off their amazing campaign where many tattoo studios are offering these free tattoos to those that want to TELL the world). The Children’s Hospital Trust has just launched a campaign aiming to raise R150-million over the next two years for projects and programmes to help heal the children of The Red Cross War Memorial Children’s Hospital. The campaign launched with a tragic true story about the Weber family who lost their 2-year-old son Conner who drowned in a bucket filled with water stored outside the house during the drought in Cape Town. Chantel Cooper - the Head of Fundraising and Communications at the Children’s Hospital Trust - joins Brent Lindeque to chat about the campaign and the Weber story. Riaan Manser: Crossing the oceans unassisted again! In this day & age of the 21st century one would think that all credible world first explorations have been done... but they haven’t. Over the past decade, Riaan Manser has re-written the definition of tenacity & become the epitome of courage & determination. Riaan rose to prominence on becoming the first person to cycle around the perimeter of Africa and had gone on to the wildest expositions from circumnavigating Madagascar to kayaking from Africa to New York. He joins Brent in studio to talk about his latest adventure... the Odyssey Row! Pride Factor, Millennials and Influence! Pride Factor is a life skills academy dedicated to improving the quality of young people’s lives by inspiring, guiding and mentoring them to challenge their assumptions, broaden their aspirations and develop entrepreneurial thinking. Dene Botha, the MD and founder of Pride Factor, joins Brent Lindeque on the Good Things Guy to chat about the incredible initiative and everything else he is currently up to. The countdown has begun for South Africa’s self-styled “CrazyBikeGuy”, Grant Cameron-Smith, as he prepares to embark on the journey of a lifetime. A tough three month, 8,800km solitary trek on a specially configured mountain bike from London to Istanbul for a worthy cause: the future of autistic young adults. The CrazyBikeGuy joins the Good Things Guy to chat about this arduous journey. Two women left their jobs, sold their homes, moved in with their parents and worked for four years to make a film about Rhino Poaching… and the documentary keeps winning incredible international accolades! Bonné de Bod and director Susan Scott risked their lives, placing themselves in incredible danger to document the war on rhino poaching. They planned to tell a story so brutal and heartbreaking, all to spread one message… That rhino poaching must stop. Their documentary film called “STROOP” has been shown on screens across the globe and became big South African news after winning incredible international awards and Bonné's joined the Good Things Guy Jacpod in the studio today to chat about it. There are no words that have been invented to explain what it’s like to lose a child. The nightmarish heartache of it. The unexplainable trepidation that follows. The child may be gone, but the years the child were meant to live remain behind, solid in the mind like an aging ghost. There are no words. Natalie Beveridge is a mother who recently lost her child “Tiny the Mighty”, but a mother who has also put all her focus and energy into honouring her son by inspiring hope. She joins Brent Lindeque on this week’s Good Things Guy Jacpod to tell her story. Robby Kojetin is an ordinary guy with an extraordinary story. In 2006 Robby broke both ankles in a climbing accident, permanently damaging both ankles and putting him in a wheelchair for the longest year of his life. With crippling debt, severe depression and constant pain, Robby spiraled into an abyss of despair and hopelessness, with literally nothing left. Nothing, but the power to decide, and a dream. This is a story about losing everything and what it takes to rebuild a life from absolute rock bottom and not giving up until you reach the ultimate goal...the summit of Mount Everest. Robby is not the first, youngest or the fastest to summit Everest ... just the most driven and he has joined Brent Lindeque today on the Good Things Guy. Miss Teen Social Entrepreneur SA is a fresh, new and exciting female youth empowerment and acceleration program for young women in high school with the goal of creating awareness around social responsibility and developing social entrepreneurship skills. Tarryn Ogle, the founder and CEO, joins The Good Things Guy Brent Lindeque to chat about the initiative. xameliax.com is an international luxury lifestyle blog and YouTube channel which has been shortlisted for the Cosmopolitan Blog awards and Best Vlogger in the Blogger's Lounge Awards. Amelia, the owner of xamelaix has joined the Good Things Guy Brent Lindeque to chat about her recent trip to South Africa and give us some insights to what she thinks about the place we call home. 5 Mar Riaan Manser: Crossing the oceans unassisted again! 26 Feb Pride Factor, Millennials and Influence!